Mark your calendars! 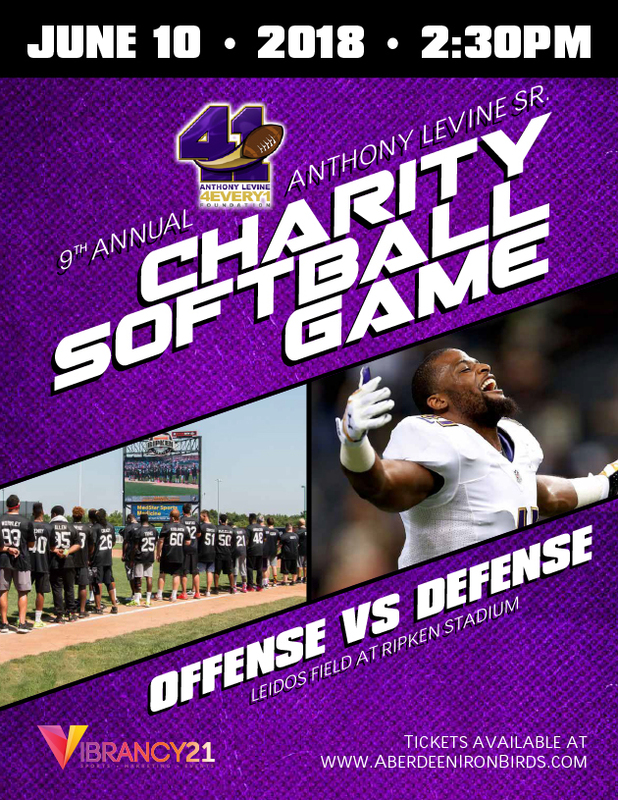 The 9th Annual Anthony Levine Sr Celebrity Softball Game, Ravens Offense vs. Ravens Defense is set for Sunday, June 10th 2018 at Leidos Field at Ripken Stadium. Gates open at 12:00pm, first pitch at 2:30pm. Over 40+ players will trade in their helmets and pads for bats and gloves all for a great cause! This year's game will be hosted by Super Bowl Champion and Co-Captain Anthony Levine Sr., with proceeds benefitting the 4Every1 Foundation. Previous attendees include Justin Tucker, Joe Flacco, Steve Smith Sr., Lardarius Webb, Ed Reed and more!